Lendan's high-tech DD Cream will give you radiant, hydrated skin as well as protection from the sun and other environmental elements. Corrects the sign of tiredness and fine lines. A complete beauty routine containing anti-oxidents that, in one simple application, will brighten your complexion, combat the signs of aging, unify skin tone, reduce the depth of wrinkles and improve elasticity. 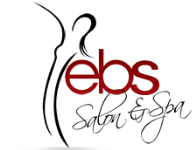 Call us @ EBS Salon & Spa for more information 281-574-4488.